Three men walk into a Le Mans café. One is Swiss. One is German. One is British. They grab a table, order drinks, and listen intently to the conversation at the table next to theirs. Three American men occupy the table and are discussing the quintessential French cultural question: What is savoir-faire? “Of course,” the three nod in agreement. The three men at the other table look at each other and smirk. Every June, 180 race-car drivers travel to Le Mans, France, seeking a mistress. It is an intense weekend fling with one particular French goddess. She possesses grace, style, and elegance and has more than enough experience with men from around the globe to open herself to just anyone. She demands men who are driven and prefers those who have unlocked her pleasures before, whether from Belgium, Britain, or Denmark. She loves surprises but realizes most of the drivers here are Johnny-come-latelies, inexperienced, or worst of all, unable to perform repeatedly on command. This French mistress rewards drivers who know how to play ball in every sense of the phrase. Here are my fearless predictions on who will taste victory at the 2017 24 Hours of Le Mans. There are no easy choices at the hardest race in the world. — The LMP2 class is usually the class I could not care less about. This is still the case this year, save for one exception. The cars are fast. 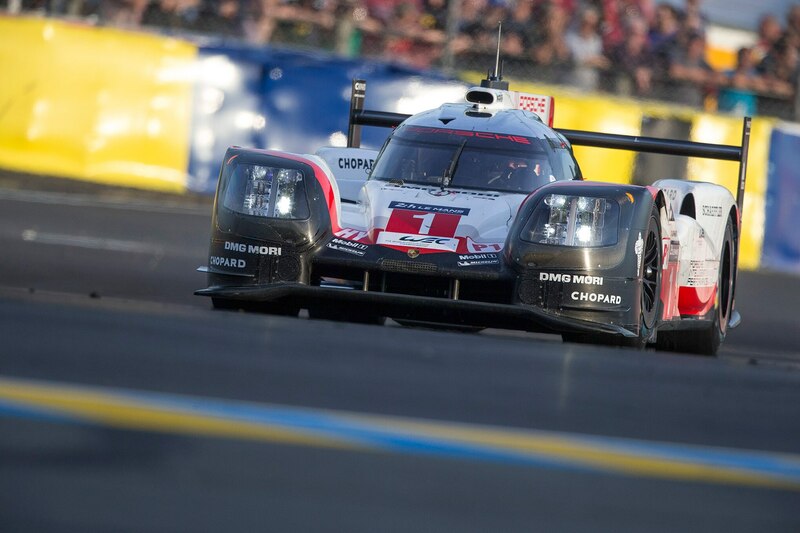 In fact, they were faster in the speed traps at the Le Mans test weekend than the LMP1 cars. This will add some excitement to the 2017 race. I wouldn’t be surprised if a P2 car finishes third overall in this year’s race. The Rebellion team has the experience and talent to take the class’s top honors. Keep an eye on the U.S.-based, No. 43 Keating Motorsports car, the only team running the Riley MK30 chassis, especially if rain falls this weekend. — The LMGTE-Am class will be a shootout between Porsche, Ferrari, and Aston Martin. I’ll repeat what I said a year ago: Patrick Long is due for another trip to the top step of the Le Mans podium. — Balance of Performance will impact the LMGTE-Pro class more than any other. I believe more cars will be on the pace in this class than in 2016, especially the Corvette and the Porsche. Ford has been hit hardest with BoP, in an effort to make the rematch battle with Ferrari even closer than last year. Porsche, which played its BoP cards exceptionally well during the first two rounds of this year’s FIA World Endurance Championship, could steal the show. Ferrari is motivated and has a great car. 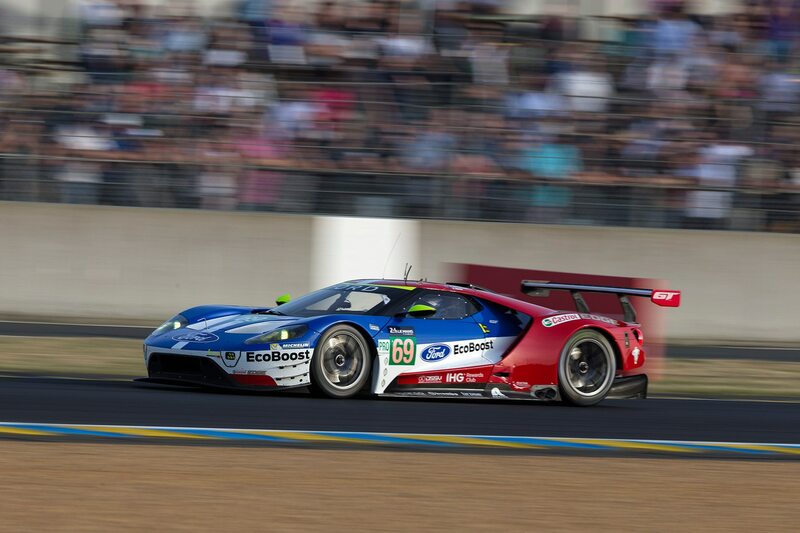 Ford comes to Le Mans with two big advantages. It has four cars, and each can run a different strategy thus making its rivals’ task all the more daunting. The second advantage, and the largest, is the car itself. The Ford GT is essentially a prototype with GT bodywork. It (as well as the Ferrari) is easier on tires than any other car, so I expect it will run a softer, faster rubber compound. And it is aerodynamically superior to the competition thanks to a smaller frontal area and a ride-height advantage. This all goes back to playing the BoP game. 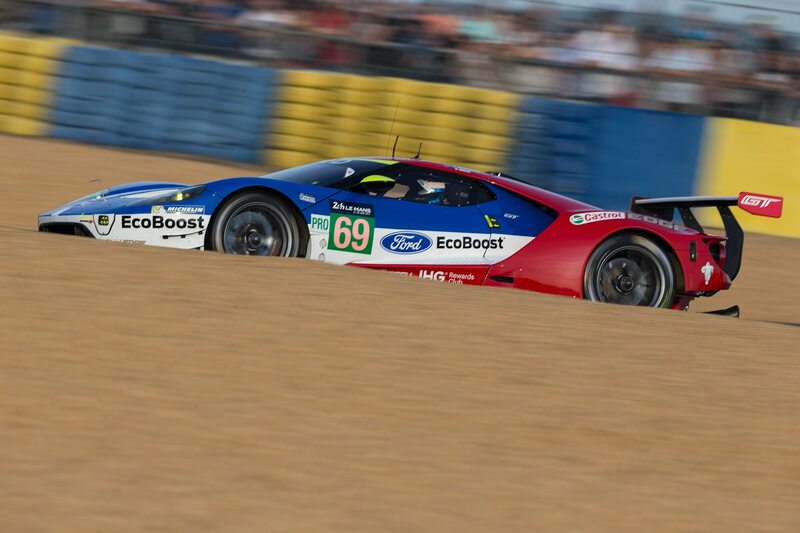 It seems Ford did not dial in the optimum ride height during the Le Mans test day, nor probably during the first two races of the season. The car has a ride-height sweet spot, which transforms a great race car into a rocket ship. For the drivers, the Ford GT becomes a magic carpet ride, one that will sweep the rug out from under Ferrari in 2017. — Toyota is the Chicago Cubs of endurance racing. It is a fan favorite, even of people who have never seen the cars in action. Everybody seems to want Toyota to win the big one, but it always manages to find a way not to. It took the Cubs 108 years to win the World Series, which it finally accomplished in 2016 in a Cinderella story for the ages. 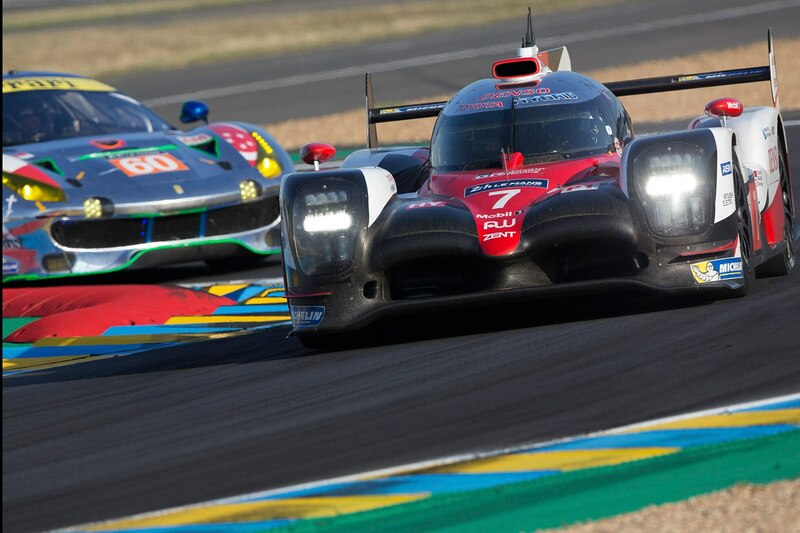 Last year at Le Mans, the clock struck midnight for Toyota six minutes before the checkered flag. Its glass slipper shattered at the start/finish line; what should have been the race-winning car broke down between the packed front straight grandstands and the team’s overcrowded pit box. It was a stomach twisting punch to the gut — a real Harry Caray moment. For those of you who don’t follow Major League Baseball, Caray was the Cubs’ loveable, longtime announcer. One year when the Cubs lost a pennant-clinching game, he said, “Too bad we couldn’t have had a victory. But that will come. As sure as God made green apples, someday the Chicago Cubs are going to be in the World Series.” Caray died in 1998, nearly two decades before his beloved Cubs would indeed win the World Series. One day green apples will show up in France and Toyota will win Le Mans. I want Toyota to win Le Mans. I hope it wins Le Mans this year. 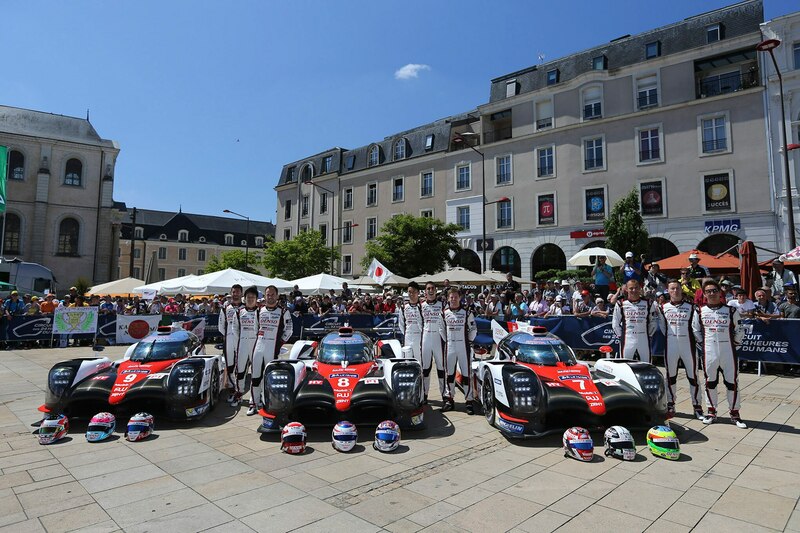 It brought three LMP1 cars to France to compete against only two cars from Porsche. Toyota has won the first two races of the WEC season in 2017 with convincing form. It is on the pole at Le Mans. But until Toyota actually does win it, I won’t believe it can. It should have won Le Mans in 1999 and didn’t. It should have won it last year and didn’t. It should win Le Mans in 2017. I just don’t think it will, somehow. Savoir-faire. Most Americans are clueless to what it really is all about, as are too many racing drivers. Savoir-faire is why only a handful of Formula 1 studs repeat as world champions and their teammates remain perpetual number-two drivers. Savoir-faire is why some drivers come to Le Mans and win this race time and time again, and others never see the checkered flag. The truth about savoir-faire is it has nothing to do with the man at the door, politely walking away from his wife and her lover. Savoir-faire describes the man in the bed. Savoir-faire describes the driver who has the ability to block out all distraction—press conferences, autograph seekers, pushy members of the corporate board, the pressure that comes with driving for a legendary marque, and mirrors filled with their closest rivals. Savoir-faire is all about a driver’s ability to stay 100 percent focused on what lays ahead, not to overdrive or penetrate into the red mist but remain just shy of that racing color — to stay in the pink zone of the perfect rhythm of speed, endurance, and stamina, and to do so repeatedly over the course of 24 hours. The No. 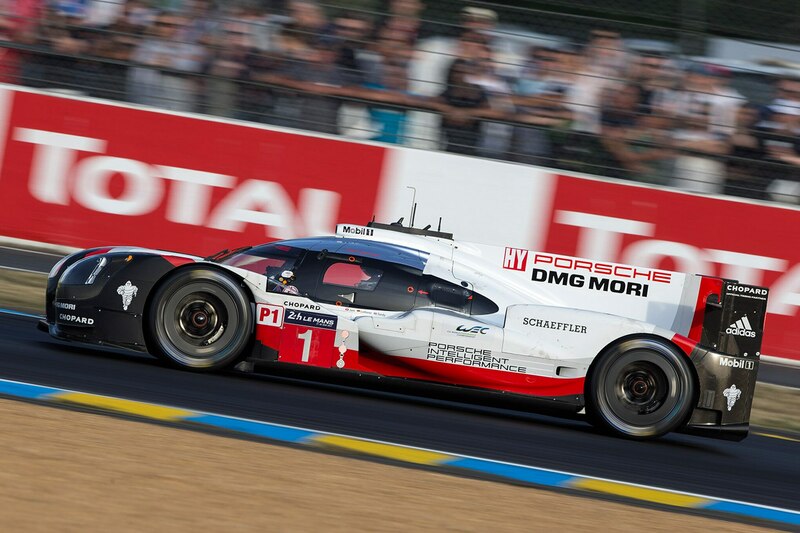 1 Porsche 919 Hybrid will win Le Mans this year. 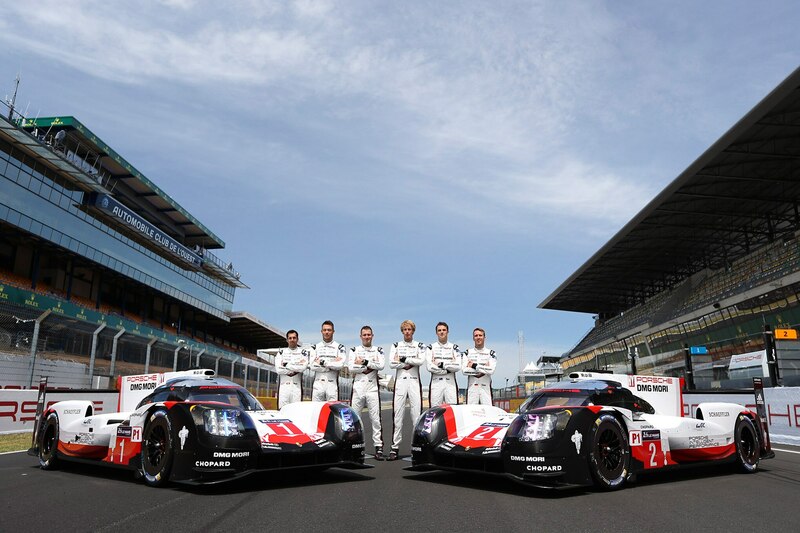 The car has the best driver lineup in Le Mans. Neel Jani — quiet, unassuming, rock-solid steady, and won the race in 2016. 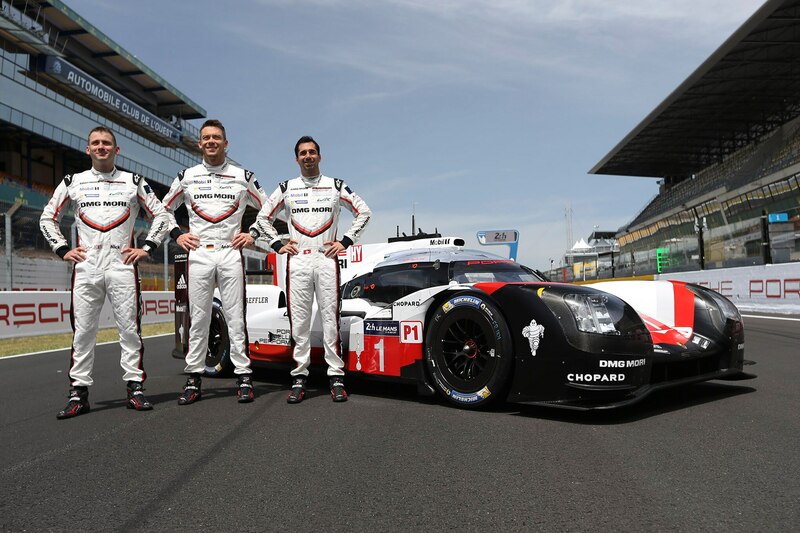 His new teammates include Andre Lotterer, a three-time Le Mans winner with Audi. And Nick Tandy, the best LMP1 driver in the world. Tandy has held that title since 2015, when his night stints at Le Mans put his Porsche at the top of the leaderboard and kept it there, claiming his first win at Le Mans. Skeptics will say, “Hold on, Tandy didn’t even race LMP1 cars in 2016.” True. And no LMP1 driver drove a single stint in all of 2016 as well as Tandy’s 2015 Le Mans performance. Jani, Lotterer, and Tandy are Porsche’s triple threat for victory. They turn the hopes and desires of every other team into nothing more than a 24-hour dream. 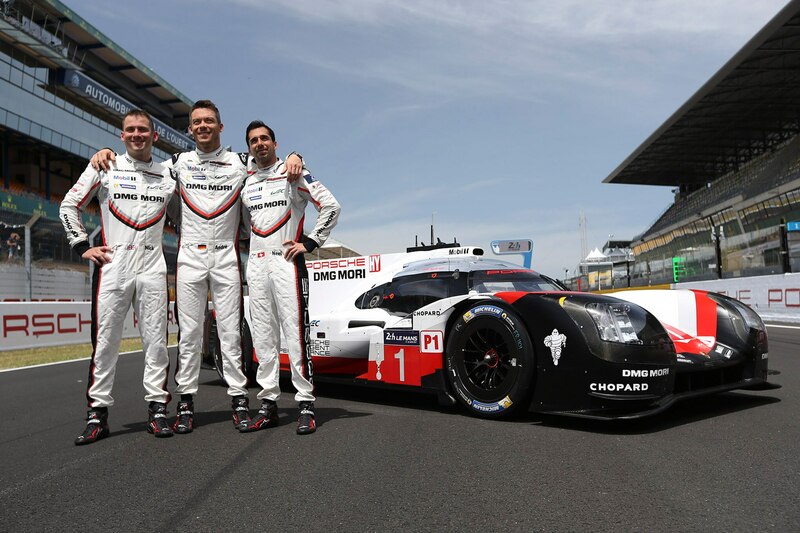 On Sunday, these Porsche drivers — a Swiss, a German, and a Brit — exhausted, jubilant, and victorious, will stand on the podium’s top step, having pleased and pleasured the only real mistress in Le Mans. Savoir-faire indeed.